In 1968 University of California Press published an unusual manuscript by an anthropology student named Carlos Castaneda. 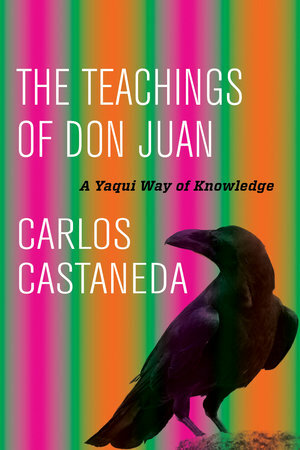 The Teachings of Don Juan enthralled a generation of seekers dissatisfied with the limitations of the Western worldview. Castaneda's now classic book remains controversial for the alternative way of seeing that it presents and the revolution in cognition it demands. Whether read as ethnographic fact or creative fiction, it is the story of a remarkable journey that has left an indelible impression on the life of more than a million readers around the world. Carlos Castaneda (1925–1998) was an American author and anthropologist who wrote many bestselling books on shamanism including Magical Passes, The Art of Dreaming, Fire from Within, Journey to Ixtlan, and A Separate Reality. His books continue to inspire and influence both new readers and dedicated fans.